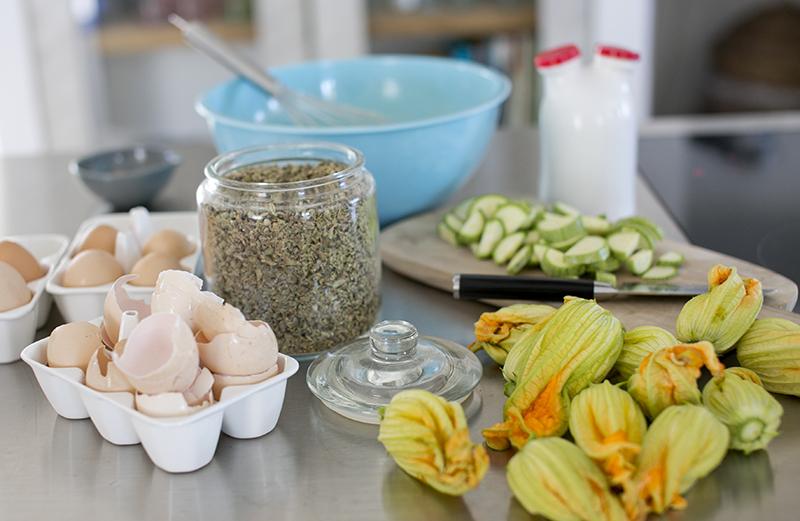 Whenever I come across courgette blossoms I can’t resist… I must be creative..! Adding herbs, vegetables and a variety of cheeses you can create many diverse combinations. However, even if you can’t find the blossoms, the courgettes themselves are more than enough to make a delightfully delicious dish! 1. Egg mixture: Preheat the oven to 180°C (350°F). In a large bowl, whisk together eggs, egg-whites, milk and Feta cheese with ½ teaspoon salt and 1/4 teaspoon pepper. 2. 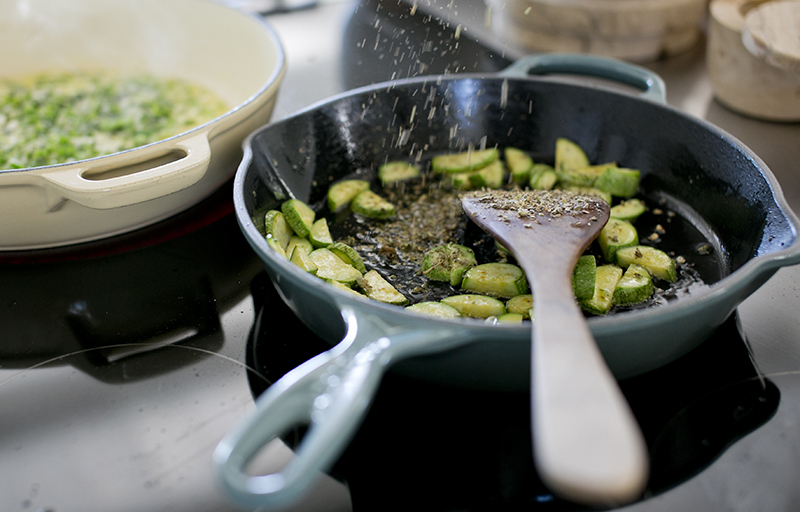 Courgette mixture: Heat the olive oil in a medium-sized, ovenproof, non-stick frying pan over a moderate heat. Add sliced courgettes and stir until golden, for 4 to 5 minutes. Add minced garlic, oregano, the remaining ½ teaspoon of salt and pepper. Stir for a minute. 3. 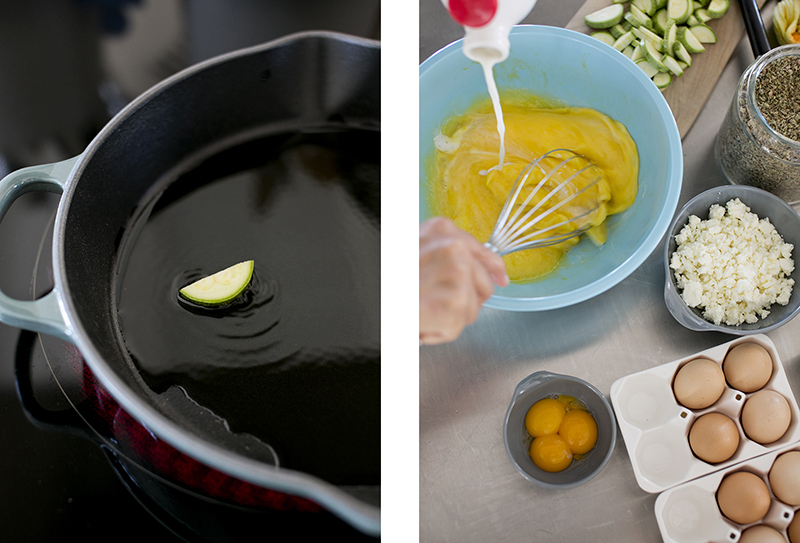 Pour the egg mixture over the courgettes and cook, lifting up the cooked egg around the edges with a spatula. Let uncooked egg flow underneath — the centre must remain moist. 4. 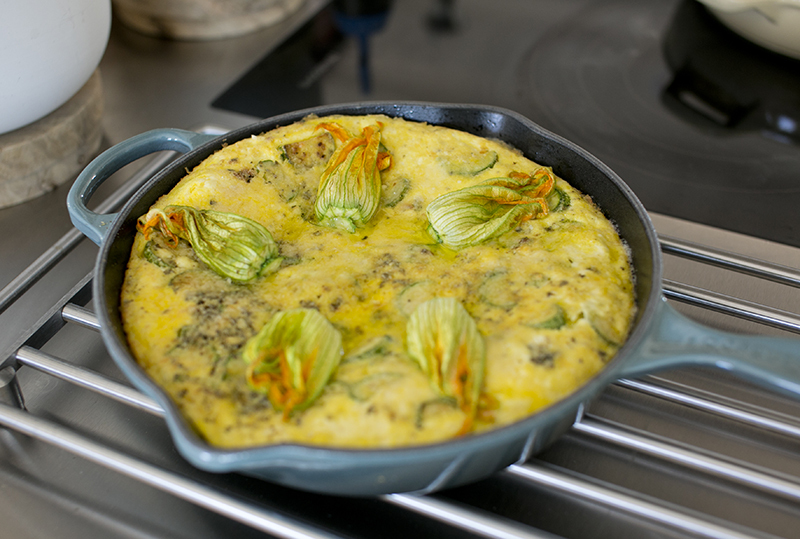 Sprinkle the frittata with Gruyere cheese and — if you have them — arrange the blossoms on top. Bake the frittata in the oven, on the highest rack, for about 3 minutes, until set and puffed up. 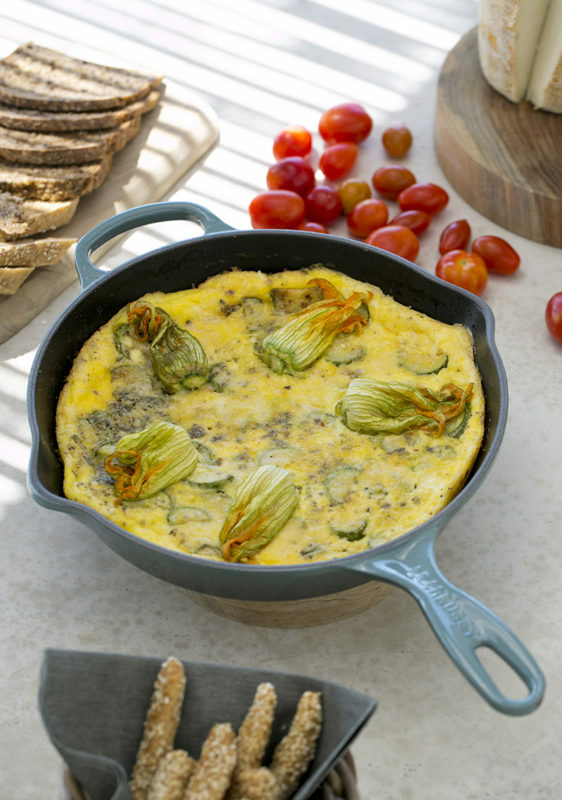 Loosen frittata’s edges with a spatula and slide onto a platter, or use your ovenproof frying pan in which to serve. 5. Sprinkle some fresh parsley on top. Serve while the frittata is still warm and soft. A cast iron frying pan is my preferred pan for frittatas, but any large, ovenproof pan will do.